Merck & Co. manufactures a variety of well-known pharmaceutical drugs, vaccines and animal-health products. It made the first smallpox vaccine for commercial use in the U.S. It is also the maker of the painkiller Vioxx and the HPV vaccine Gardasil. Both drugs led to scandals and lawsuits. Merck & Co. manufactures popular pharmaceutical products for Type 2 diabetes, asthma and birth control. These products include Januvia, Singulair and NuvaRing. The company also includes an animal health division. It makes vaccines for cattle and diabetes treatments for dogs and cats. Merck is one of the largest pharmaceutical companies in the world. In 2017, it raked in over $40 billion in revenues. But with all its successes, Merck has had its share of controversy and legal troubles as well. People who say the company’s products injured them have filed thousands of lawsuits against Merck. The Big Pharma company has also faced patent lawsuits and criminal charges for illegal marketing and price gouging. Merck is probably most well-known for its Vioxx scandal. Merck continues to develop new drugs for cancer and diabetes. The drug manufacturer also has some new vaccines in the works, including one for Ebola. Merck is an American pharmaceutical company and one of the largest in the world. The drug company has its headquarters in Kenilworth, New Jersey. It is a leader in the health care industry with a 125-year history. Merck operates in more than 140 countries worldwide. It employs roughly 69,000 employees globally. Kenneth C. Frazier is CEO. In 2017, it had revenues of $40.1 billion. Outside the U.S. and Canada, Merck is known as Merck Sharp & Dohme. Merck & Co. began in 1668 in Darmstadt, Germany. Friedrich Jacob Merck opened the pharmaceutical company under the name Angel Pharmacy (Engel-Apotheke). He sold morphine, cocaine and codeine. The company became a manufacturer in 1827. Heinrich Emmanuel Merck changed the course of the business under its new name E. Merck. A U.S. sales office opened in 1887. And in 1891, the company’s U.S. branch Merck & Co. opened. George Merck, Heinrich’s grandson, headed its operation. The U.S. branch of Merck grew. The company established a manufacturing facility in Rahway, New Jersey in 1902. Merck & Co. has offices in 278 locations. In 1917, after World War I, the government confiscated Merck & Co. and set it up as an independent company. The original German Merck is now known as Merck KGaA. It has no affiliation with Merck & Co.
Merck & Co. sold the first commercially used smallpox vaccine in the U.S. in 1898. The next year, it published a guide for physicians and pharmacists known as The Merck Manual. The manual is available in 17 languages today. It’s one of the most used texts in the world. Merck agreed to merge with Philadelphia pharmacy Sharp & Dohme in 1953. Together, the companies became the largest U.S. manufacturer of prescription drugs at the time. Merck has more than 50 pharmaceutical products to its name. The company specializes in products for cardiovascular, respiratory and infectious diseases. It also focuses on cancer, nervous-system disorders, immunology and women’s health. Clinical studies link some of Merck’s pharmaceutical products to dangerous side effects. The U.S. Food and Drug Administration strengthened warnings for some of the drugs. After solidifying its place in the pharmaceutical industry, Merck shifted focus to vaccines. In 1963, Merck manufactured the first measles vaccine. It made the first mumps vaccine in 1967. Patients injured by Merck’s drugs have filed thousands of lawsuits against the Big Pharma company. The drug maker has paid out billions of dollars in damages to patients and their families as a result. Merck paid millions in settlements and jury verdicts to thousands of people who say Fosamax caused their injuries. Multidistrict litigation (MDL) in New York over Dead Jaw Syndrome has mostly resolved. A second MDL in New Jersey for bone fractures involved more than 560 lawsuits as of May 2018. More Fosamax lawsuits are pending in multicounty litigation (MCL) and state courts. Studies link Januvia to pancreatitis, pancreatic cancer and severe joint pain. According to lawsuits, some former Januvia users died after using the drug. A judge dismissed Januvia lawsuits in 2015. But as of 2018, an appeals court reinstated hundreds of pancreatic cancer lawsuits. Organon, a subsidiary of Merck, manufactures NuvaRing, a birth control ring associated with life-threatening blood clots. Because of the possible side effects, the FDA released a drug safety communication in October 2011. People filed more than a thousand federal NuvaRing lawsuits. The company settled almost all of them for $100 million in 2014. Merck changed Propecia’s label in 2011 to warn of the possibility of cancer and sexual side effects. It warned side effects may continue even after stopping treatment. As of May 2018, about 900 Propecia lawsuits remained pending in federal court in New York. 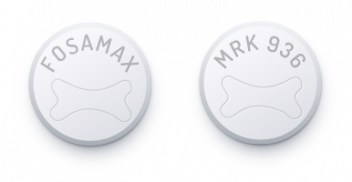 Vioxx is one Merck’s most well-known drug recalls. 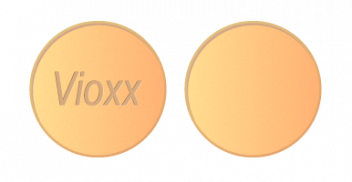 Vioxx is a COX-2 inhibitor (pain reliever). It was linked to an increased risk of cardiovascular problems like heart attack and stroke. The painkiller was on the market for five years before Merck pulled the plug. The FDA approved Vioxx in 1999. An estimated 25 million Americans used the drug. Merck denied reports of dangerous cardiac side effects for years. But in September 2004, it pulled the drug from the market. It based its decision on findings from a clinical trial called APPROVe. Vioxx was blamed for more than 3,400 deaths. Merck paid nearly $7 billion to settle tens of thousands of Vioxx lawsuits and to cover civil and criminal fines. 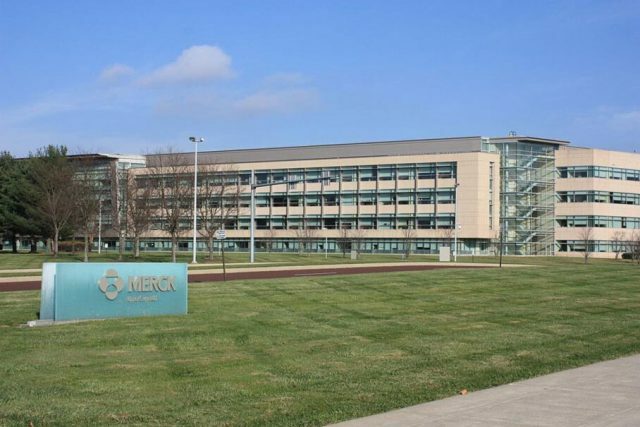 Merck's Vioxx settlement ended personal injury lawsuits brought by 47,000 people and about 265 potential class-action cases. The federal government and Merck’s own shareholders targeted the company’s questionable business practices. They accused the company of tax fraud, price gouging, misleading shareholders and lying under oath. The company agreed to pay $2.3 billion to settle a tax dispute with the Internal Revenue Service. Merck paid $671 million to settle federal health-care fraud claims. Merck paid $688 million to settle two shareholder lawsuits. Judge Beth Labson found Merck lied to the court and its business partner. Labson overturned a prior $200 million verdict in favor of Merck.